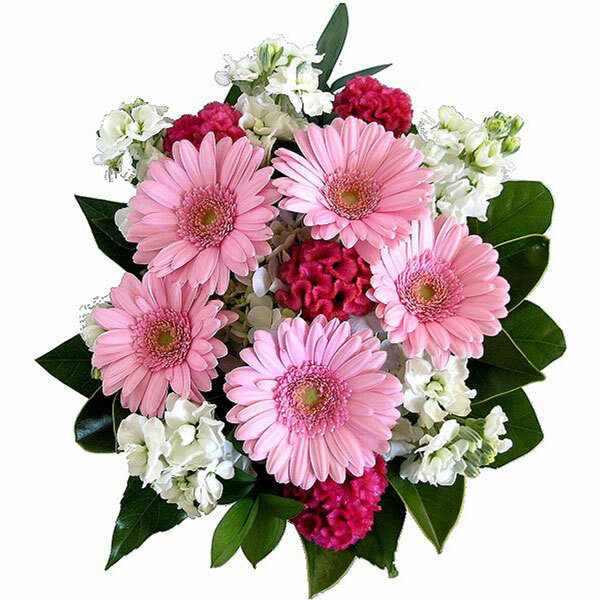 A little bit of something to brighten up the day. 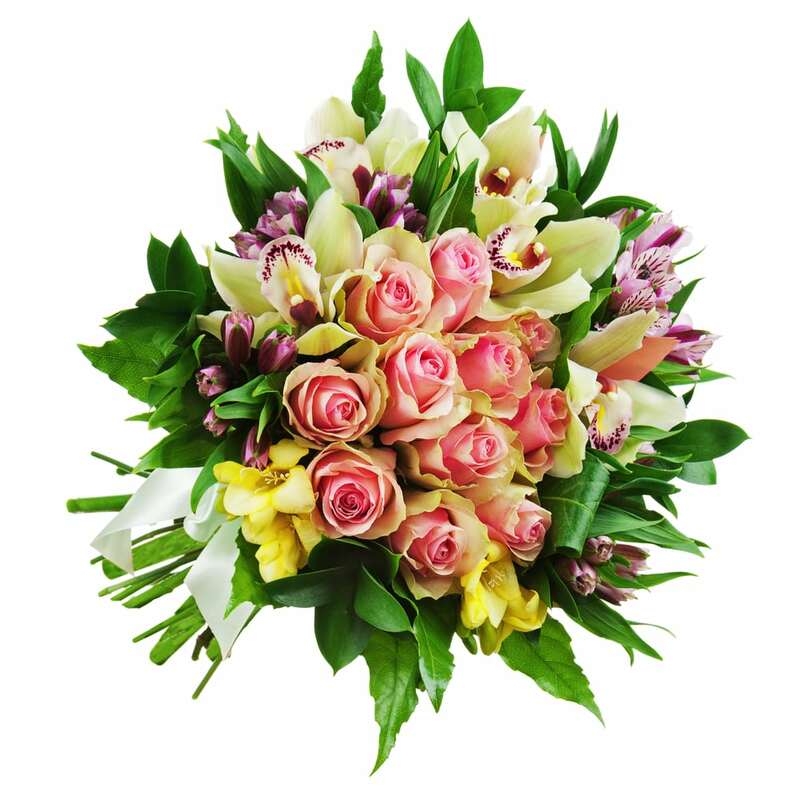 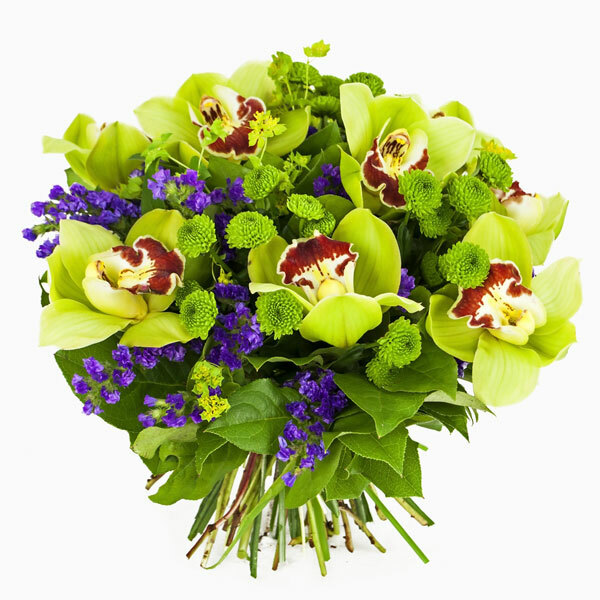 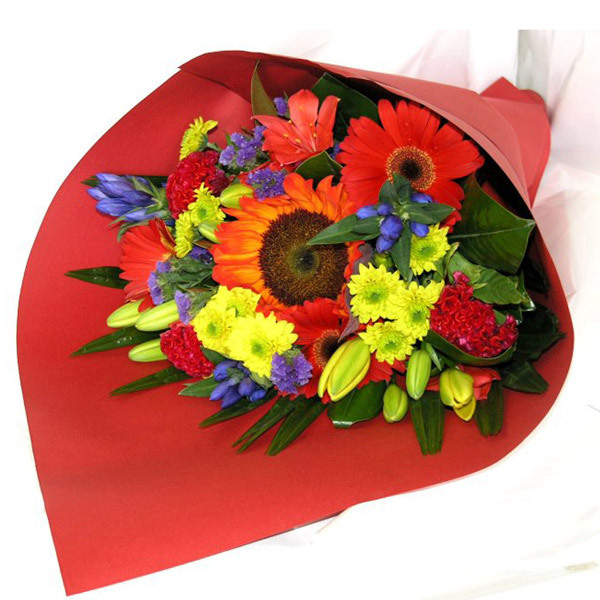 Simple, bright and happy bunch of flowers – there is no easier way to bring a smile. 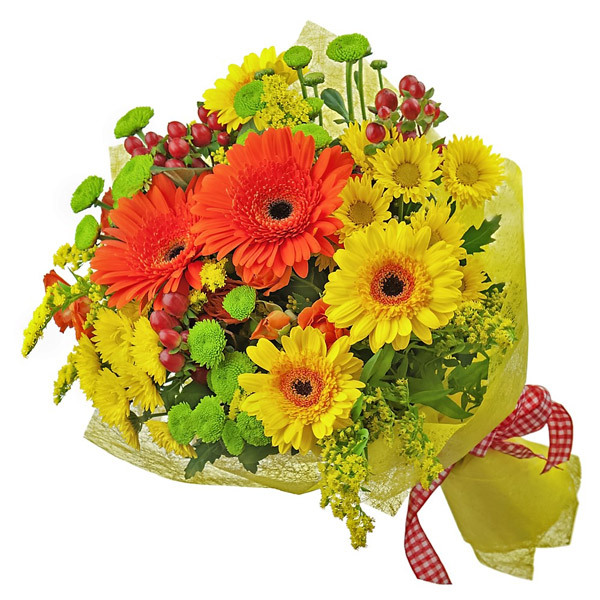 Bright and sunny seasonal mix of gerberas, chrysanthemums, fillers and greenery. 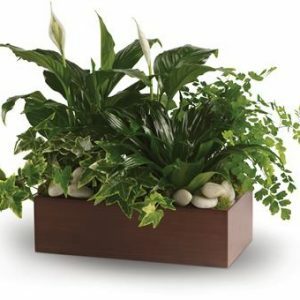 Standard size pictured.